South Island competition was split two ways over the weekend 24-25 February. A number were heading down to Southland Jumping in Gore and some heading north to Marlborough Jumping in Blenheim, many en route to the North Island for the business end of the season. The trip north was made much more difficult by the closing of SH1 after Cyclone Gita, which unfortunately resulted in a number of Cantabrians scratching. 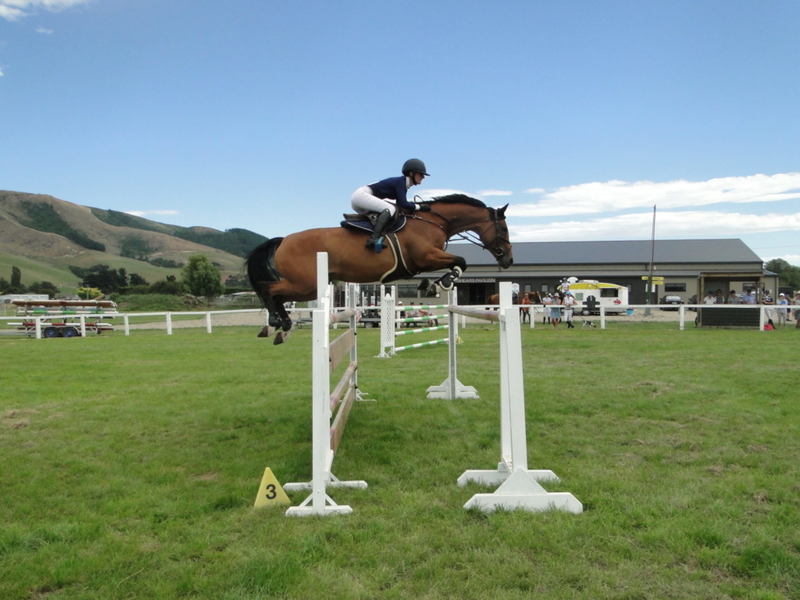 On her way back home to Wellington, Sophie Scott dominated in the Country TV Pony Grand Prix in the Marlborough Show. She completed the only two double clears to take the win with a faster Benrose Playtime over Benrose Eclipse in second. Down south in the same class it would also be a double clear to claim the win. That result came from Sophie Geddes and Te Ngaio Raggamuffin, the combination’s first win at this level. She fought off well performed speed ponies Junior Disco under Rosa Buist-Brown and Bizzie Canoodling under Noah Coutts, who finished on four faults each to take second and third respectively. It was also a weekend of firsts for Sophie Townsend who had her first win in the Dunstan Horsefeeds & Equifibre Junior Rider Series aboard Kingslea Kiwi. She was a convincing winner two rails ahead of local hope Jordan van Miltenburg and Astek Reveal, who finished second. At the top end of the Island it was Scott who took out the class with Benrose Rockstar. It was a four fault jump off over the Lex Peddie Designed course and Scott was the only one to go clear. Both second and third place getters Olivia Harkerss and Tayler Nalder gained faster times, but paid for their speed with a rail. Another four fault jump off was seen, this time down south in the FMG Young Rider. Youngster Kate Beattie took on Grace Percy in the jump off to finish within the tightest of margins. Beattie set the benchmark with Smartymarty going clear in 44.94 seconds. Using the advantage of following after, Percy did just enough aboard Kiwi Spirit to finish clear and fractionally faster in 44.21 seconds to claim the win. 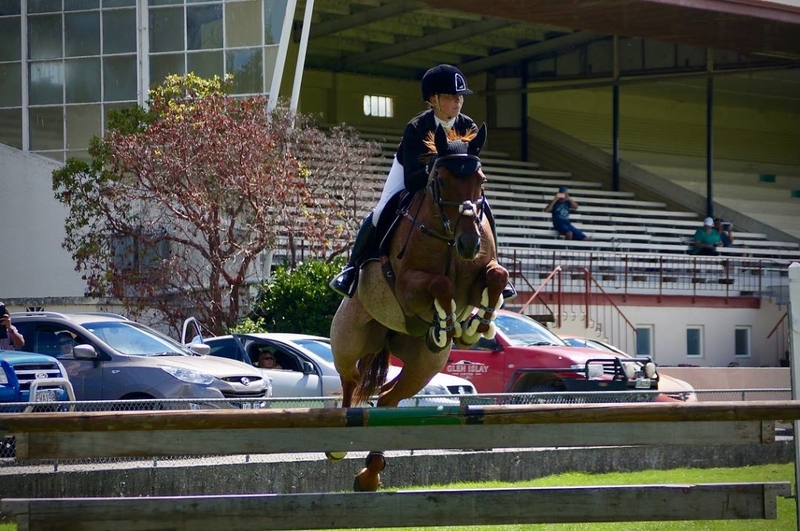 The first quinella of the show in Marlborough came from Kimberley Bird in the FMG Young Rider. Along with Lucinda Askin and Portofino, Bird guided both her mounts clear in the first round to create a three way jump off. Out first on her nominated horse Cera Cassina she produced a speedy clear to finish in 33.62 seconds. Askin set out to better her time, but had an unfortunate early rail. With the pressure off Bird aimed for a steady clear on her less experienced horse Euro Champagne to also claim second place, leaving Askin in third. 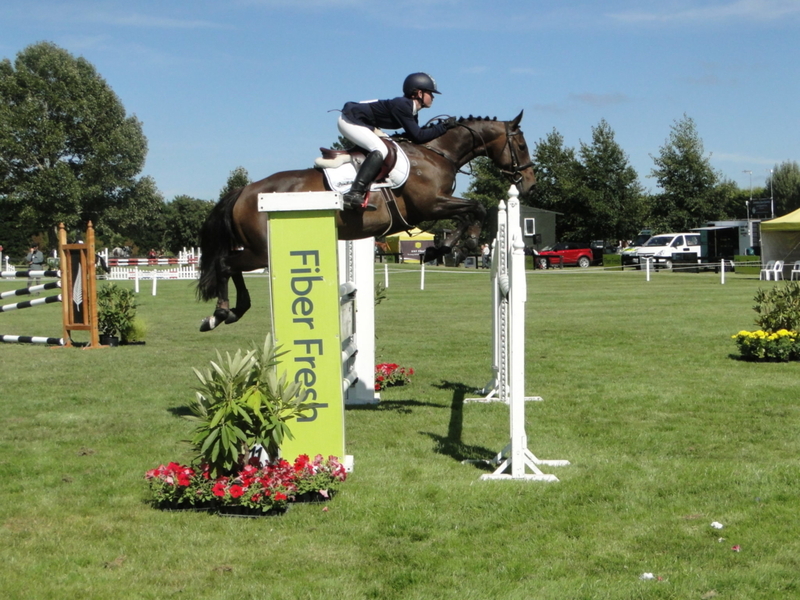 Tegan Fitzsimon got off to a successful start on her road trip north with a clean sweep in the Dunstan Horsefeeds & Equifibre Horse Grand Prix at Marlborough. She jumped clear with both Windermere Cappuccino and Double J Monarch, opting to take the win with the latter. Cavalleria Toscana Horse Mini Prix: Nicole White (Invercargill) LC Samson 1, Lauren Buckley (Queenstown) Icey Storm 2, Nicole White (Invercargill) Lil LeRoux 3, Olivia Brown (Clinton) RH Kukumoa 4, Nicole White (Invercargill) Flashback 5, Grace Percy (Glenorchy) The Viper 6. Country TV Pony Grand Prix: Sophie Geddes (Tai Tapu) Te Ngaio Raggamuffin 1, Rosa Buist-Brown (Burnham) Junior Disco 2, Noah Coutts (Dunedin) Bizzie Canoodling 3, Jordan van Miltenburg (Southland) Harrison James 4, Pippa Collins (Palmerston) Waiotahi Belle 5, Ella Wylie (Riverton) MF Spot Me 6. FMG Young Rider: Grace Percy (Glenorchy) Kiwi Spirit 1, Kate Beattie (Dunedin) Smartymarty 2, Olivia Brown (Clinton) RH Kukumoa 3, Bridget Collins (Palmerston) Mr Gregory 4. Dunstan Horsefeeds & Equifibre Pro Am: Rik van Miltenburg (Southland) Truly Unique 1, Lana Mackay (Balfour) Silky Road 2, Jacquita Farquhar (South Otago) Toronto Magic 3. Dunstan Horsefeeds & Equifibre Junior Rider: Sophie Townsend (West Melton) Kingslea Kiwi 1, Jordan van Miltenburg (Southland) Astek Reveal 2, Rachel Beattie (Dunedin) Midnight Magic Rumble 3. Caledonian Holdings Amateur Rider: Anna Douglass (Timaru) St Henry 1, Jessica Fahey (Invercargill) Repertoire ll 2, Karen McRae (Te Anau) KWC Midship 3, Nikki McLennan (Invercargill) MT Self Cuppacino 4, Kate Russell (Southland) Pete 5, Jacquita Farquhar (South Otago) Rustic Moonlight 6. Dunstan Horsefeeds & Equifibre Horse Grand Prix: Tegan Fitzsimon (West Melton) Double J Monarch 1, Tegan Fitzsimon (West Melton) Windemere Cappuccino 2. Cavalleria Toscana Horse Mini Prix: Tamara Silcock (Nelson) Steel Magnolia 1. Country TV Pony Grand Prix: Sophie Scott (Wellington) Benrose Playtime 1, Sophie Scott (Wellington) Benrose Eclipse 2, Peita Milne (Nelson) BG Lennox 3, Georgia Alison (Oxford) Pioneer High Jinx 4. Canterbury Saddlery Pony Mini Prix: Sophie Scott (Wellington) Benrose Playtime 1, Dayna Walsh () Causing Havoc 2, Sophie Scott (Wellington) Benrose Eclipse 3, Anna Nalder (Cust) Mangakaraa Carbon Copy 4, Olivia Harkerss (Leeston) Cocamo 5, Dan Harkerss (Leeston) Double J Yippee 6. FMG Young Rider: Kimberley Bird (Ashburton) Cera Cassina 1, Kimberley Bird (Ashburton) Euro Champagne 2, Lucinda Askin (Ashburton) Portofino 3. Dunstan Horsefeeds & Equifibre Pro Am: Tamara Silcock (Nelson) Steel Magnolia 1. Dunstan Horsefeeds & Equifibre Junior Rider: Sophie Scott (Wellington) Benrose Roackstar 1, Olivia Harkerss (Leeston) Astek Reformer 2, Tayler Nalder (Cust) Icebreaker ll 3, Sophie Scott (Wellington) Benrose Roackstar 4, Olivia Harkerss (Leeston) Lacona Ammoe 5. 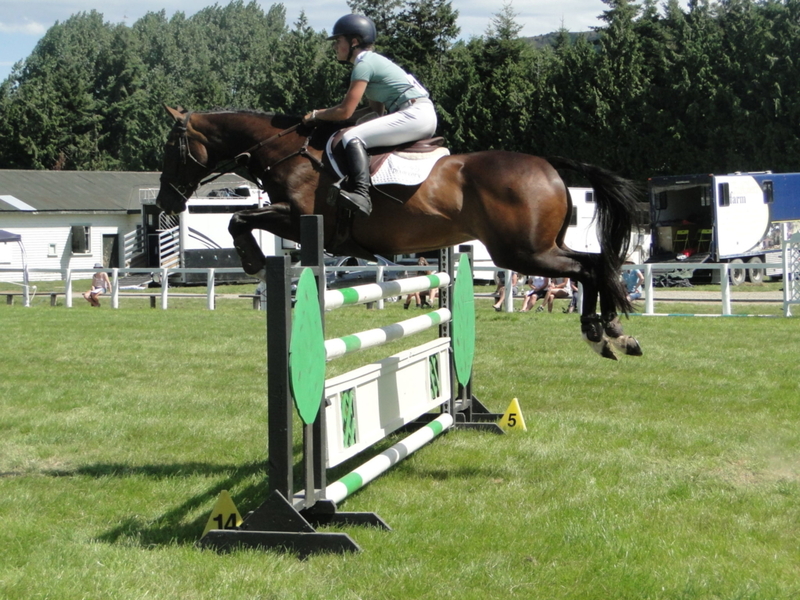 Caledonian Holdings Amateur Rider: Helen Ensor (Blenheim) Zactac Carnival 1.